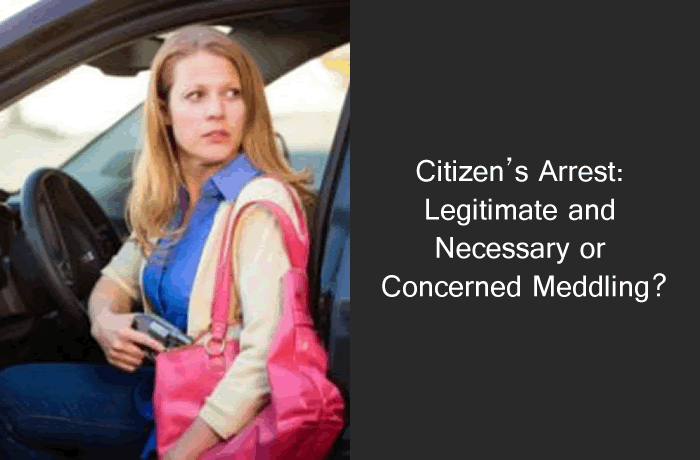 Citizen’s Arrest: Legitimate and Necessary or Concerned Meddling? I originally wrote this article about citizen's arrest for Red Door Magazine, a gay magazine back in July 2010. I have thought about this article a total of twice since I sent it to the editor: Once right after Trayvon Martin was shot and killed by wannabe cop George Zimmerman and after the verdict was announced and this killer was acquitted for the crime. I decided to post it on my wall. It's not entirely similar, as you will see, but it's difficult not to draw the conclusion that vigilantes and those who take the law into their own hands shouldn't. The consequences can be devastating. 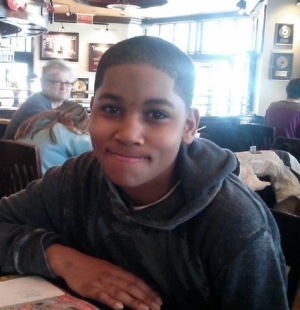 Tamar Rice, courtesy of the New York Times. If you were to ask 10 people what Citizen’s Arrest is, you may well leave yourself open to hearing 10 different responses. Answers can depend largely on a few factors: who’s in the White House at the moment, peoples’ political perspectives, their personalities and the neighborhood in which they live. Although there is little dispute about what citizen’s arrest is, successfully executing one is far more complicated than the definition might suggest. Simply put, according to Merriam-Webster, a citizen’s arrest means an arrest made not by a law officer but by a citizen who derives authority from the fact of being a citizen. The meaning itself leaves a lot open to interpretation. And depending on what the current politics are, can end up taking on a whole life of its own, a fervor if you will. Citizen’s arrests (CAs) date back to medieval England. After the fall of the Roman Empire, England descended into feudalism. The concept of providing police had not yet been conceived. During this time period, CAs were not only allowable, but actually encouraged. Citizens, although untrained, were given the same rights and protection under the law as constables to perform arrests. As societies migrated from feudalism and fiefdoms to Capitalism and communities began providing police, performing a CA became far more complicated than it was back then. Citing the frequency of executions of CAs during the middle ages could no more be a valid justification than it could be to use it as a legal defense once a person is arrested for having executed one. The types and severity of crimes committed during the Middle Ages are by definition less complicated. The most common crimes then were thievery, stealing of livestock or food (often to feed one’s family), heresy, adultery (ironically only a crime if the offense was committed by a wife) and murder. The punishments were often subject to the whims of the lords. Torture – usually public - was the most favored means of dealing with those who fractured the law. With the introduction of computers providing more sophisticated means of destroying one another (personally and between countries), capitalism and the litigious society we live in today, just as crimes have evolved, so too has the definition and legal scope of citizen’s arrest. In contrast to CAs during the Middle Ages, when someone could simply arrest another citizen and see the accused convicted based on hearsay alone, thankfully there’s a more complicated system in place today. In nearly every state, it is necessary to have witnessed the crime – in most cases, a felony - taking place before a citizen may make an arrest. Gives new meaning to the expression, “Catching someone in the act,” doesn’t it? Even having witnessed said crime, it’s not a forgone conclusion that a conviction is imminent. For the person who executed the CA, he or she best hope a conviction is the result. If not, upon acquittal, the person he or she arrested is entitled to bring legal action against the person who has in essence, falsely accused him or her of a crime. Let’s say that you don’t see the fool get pulled over. Using hand’s free of course because you are a law-abiding citizen yourself, you dial 911 and having remembered the license plate, you report the incident. The dispatcher promises to send someone out and whether it happens or not, you feel satisfaction. You’ve done your good deed for the day. Hopefully, you reason, you’ve prevented some driver from being killed as a result of your call to the police. There are those people for whom this scenario would end right there. Indeed the majority would likely go right back to singing off key and continue on their merry way. For some reason, maybe it’s the way they’re hardwired, but some would skip the step of calling the police, disregard wherever they were on their way to and pursue the fool. While we’ve all entertained this fantasy, most of us have the sense not to in essence, “take the law into our hands." It’s just common sense! After all, the fool could be drunk, own a pistol or be high on some combination of synthetic drug most of us only read about in the newspaper. Or we don’t think it’s our place, indeed, that’s what the police are for, so we don’t carry out this fantasy. Empowered Citizen – let’s call her EC for short – blazes down the freeway in pursuit of the fool. Cop pulls her over. She tries in vain to justify why she’s driving over 90 mph. Disinterested, because he’s heard every excuse in the book, he writes her a hefty speeding ticket and promises the next time he’ll have her license suspended. For safe measure he calls in the alleged fool, because EC did offer him a license plate, so maybe she’s not all that crazy. EC manages to catch up to the fool and orders him to get out of the car. A scuffle ensues, but having had the good sense to, “call for back up”, the police arrive just after the fool has struck EC in the head. Perhaps with the assistance of the meat clever she keeps in her car for these special occasions, she manages to lock him in his car. EC then tells the police that she has executed her right to issue a citizen’s arrest. She is likely feeling like a heroine, having no idea how close she came to the next scenario. Having called for “back up," the police arrive just moments after the fool, who as it turns out, was high on methamphetamines, shoots and kills EC. EC calls for back up, who tells EC not to approach the speeder and EC decides to ignore this advice. Nobody is quite sure what happens, but the speeder is now shot and dead. Of course scenario 1 is the best of all worlds. Although EC is quite angry, she has no idea that she has in effect, “dodged a bullet." Police are trained to handle everything, including pursuing a speeder, who’s potentially high on drugs. Whether the pursuit remains on the freeway or it continues through neighborhoods where kids are playing “street hockey” and the elderly are slowly making their way to the store, they can do this with the fewest injuries possible. Call it vigilantism or something else, but despite the good this subset of people feels they are doing, it’s a nuisance for the police officer. He must now be called to the scene where there’s a woman standing there holding a meat clever, demanding the fool be arrested or she’s been shot. Either way, these are both unfortunate consequences of ordinary people who, lacking training, want to take matters into their own hands. Poll 100 police officers and each will tell you that CAs are a pain in the rear for them. The ensuing paperwork, subsequent court appearances and potential danger involved, are all reason enough for them to discourage untrained citizens to play cops to the alleged robbers. Second only to the Acai Berry Diet and Circle Lenses, celebrities making citizen’s arrests are all the rage. According to the New York Daily News, Jesse James, owner of the West Coast Choppers and estranged husband of Academy award winning actress Sandra Bullock, executed a Citizen’s Arrest on March 25, 2010. Claiming that a photographer had been stalking him at his Long Beach, California store, he placed the man under arrest. Returning the favor, the photographer placed James under arrest moments later. The Long Beach police reported that neither gentleman was taken into custody and that the incident would be investigated further. In an unrelated incident, Nicky Hilton, daughter of hotelier Rick Hilton, allegedly placed a homeless man under “private person’s arrest” on February 23, 2009. According to published reports, this man’s crime was to bump her from behind as she left a West Hollywood IHOP. Although not subdued by Ms. Hilton, the man, identified as Michael Broadhurst, stuck around long enough to be arrested by the police. Indeed, it must be an annoyance and potentially dangerous, when celebrities are pursued either by the paparazzi or a crazy fan. But surely, the police have better things to do than be called to the scene of a non-crime as a woman, whose only claim to fame is being a “hotel heiress” or phrased differently, a “celebutante” is now claiming victory for having stopped a homeless man from bumping another person who takes him or herself far too seriously. Karl Rove, Former President George W. Bush and WOMD, Oh My! But what happens when the pubic are legitimately angry over watching people, who because of their power, influence or money, manage to escape impunity? There are many people who feel that those, such as celebrities, politicians and advisors, should be just as accountable as average citizens. For example, several people have attempted to arrest Karl Rove and for his alleged lies about WOMD and his involvement with the events that led to the war in Iraq. Myriad of pissed off people in various states have attempted Citizen’s Arrest on Karl Rove over the last two years. The former advisor to then president George W. Bush is not only accused of lying to justify the war, but also for his role in leaking CIA operative Valerie Plame’s identity, which of course ended her career. At least three CAs were attempted on Karl Rove in 2008; two in Iowa and one in California. On March 9, 2008, at a speech where Rove was paid $40,000 to give, four people were arrested for trying to place Rove under arrest. All four, including the minister and octogenarian, were later released. Do these people fall under the same category of meddlesome citizens or those who are fed up with continually watching those in power given carte blanche to act as though they are above the law? Is there a difference between chasing a speeder down the freeway who could potentially kill someone and growing angry day by day as you watch an entire previous Administration essentially get away with murder? Begs the question, just concerned meddlers or legitimate and necessary?